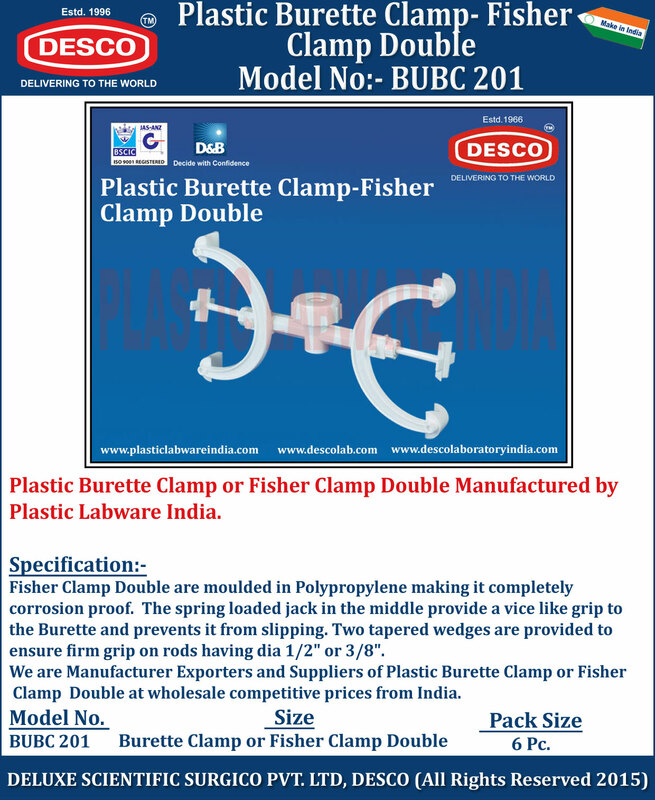 Fisher Clamp Double are moulded in Polypropylene making it completely corrosion proof. We are Manufacturer Exporters and Suppliers of Plastic Burette Clamp or Fisher Clamp Double at wholesale competitive prices from India. BUBC 201 Burette Clamp or Fisher Clamp Double 6 Pc.